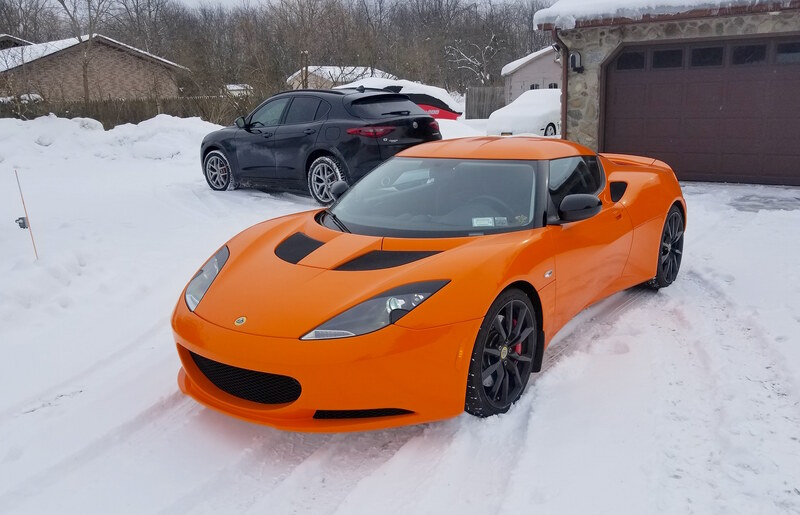 Before you get all excited, no, the owner of this 2014 Lotus Evora didn't really take it out into the WNY snow last week (that's what the Alfa Romeo Stelvio in the background is for!). He just needed the garage and pulled it outside for a bit. It does make you wonder what this mid-engined car could do with a set of snow tires on it, though. Might be the ultimate winter driver! ... in West Seneca, NY.